Looking outside this week – the leaves have changed to vibrant reds and oranges, the temperatures have dipped just below “sweater weather” and you’ve nearly outdone yourself with the Pumpkin Spice Lattes. As days turn into nights, that chilly, eerie feeling arises and you know for sure – it’s almost Halloween. With the holiday quickly approaching, here are 5 things to do in Chicago to get you in the Halloween spirit. Scary movies are one of the best ways to get yourself into the Halloween spirit. Whether you are a fan of gory films, or classic, bone-chilling cinematic features, a movie allows you to escape for a little while into a different world. To enter that world in Chicago, head to The Music Box Theatre, where premiere independent and foreign films have been shown for the last 20 years. Halloween brings showings of The Rocky Horror Picture Show, including live actors, sing-alongs and props to throw around. 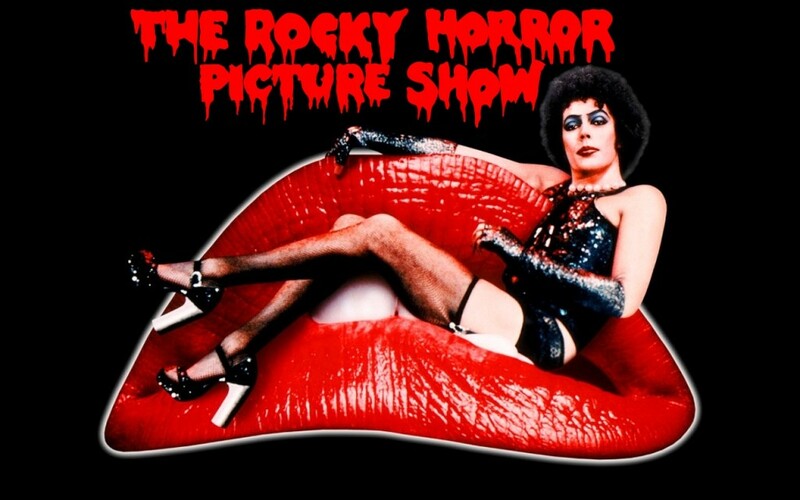 If you’re not familiar with The Rocky Horror Picture Show, it’s a campy film from the 70s that has inspired a following of fans for years. Its kooky plot is unlike any movie you’ve seen before – head the The Music Box Theatre and you’ll be fully immersed in the experience. For more information and to purchase tickets click here. When it comes to Halloween, everyone thinks of candy and tasty Halloween treats, such as popcorn, candy and caramel apples. 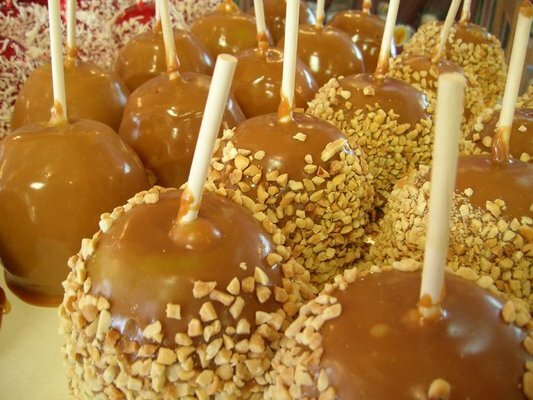 A great place to get caramel apples in Chicago is Andrew’s Caramel Apples. This family owned business is known for selling their candy apples by the case – they cover the apples in classic caramel and peanuts. For more information on pricing and ordering call (773) 286-2224. Another great Halloween tradition is pumpkin carving. In addition to having a great display at your doorstep, you can bake the seeds from the pumpkin. Pumpkin carving brings family and friends together while giving you an opportunity to show off your creative side, perhaps with a classic Jack-o-Lantern style, or a special carving… even adding your own signature flare. 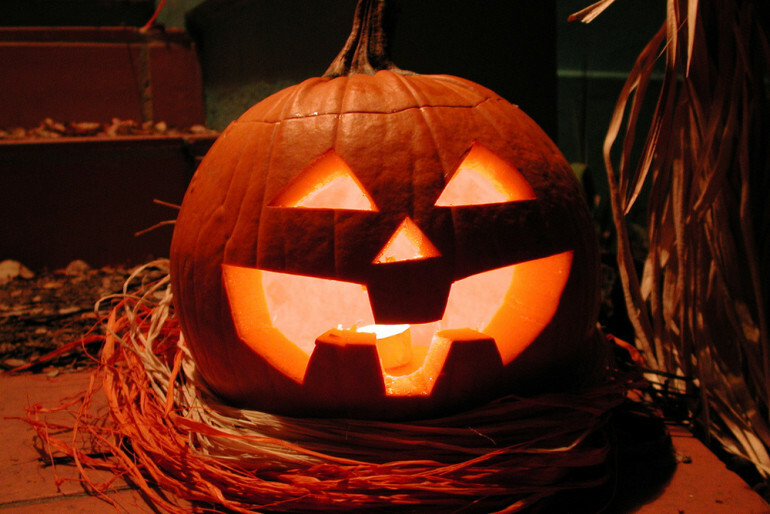 On Thursday, October 23, 2014, starting at 6 p.m., Sheffield’s Beer and Wine Garden hosts their annual pumpkin carving event, for free. During the event Pumpkin Beer will be on tap and there will be specials on hot mulled cider. To learn more click here. Get there early to reserve your pumpkin! One of the best parts about Halloween is being able to dress up in a costume and hit the town – showing off your creativity with your friends. 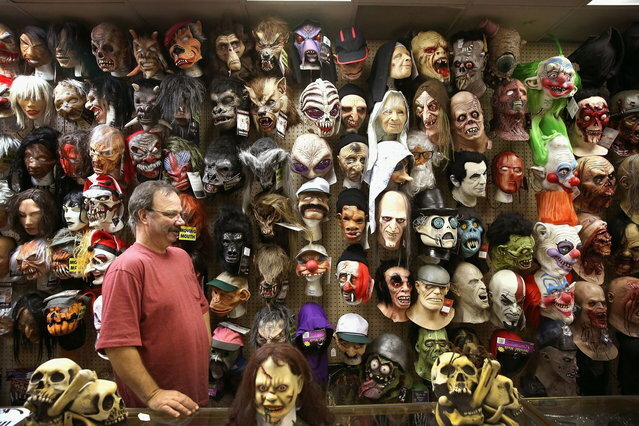 Instead of running last minute into one of the Halloween pop-up shops, make a visit to Fantasy Costumes, a well-known costume shop that has been located on the North side of Chicago for over 45 years. Not only do they sell and rent Halloween costumes, but they also have Christmas outfits, St. Patrick’s Day costumes and Mardi Gras accessories. Customers at Fantasy Costumes are always greeted with a smile and great service. If you’re searching for that one specific thing you can’t find anywhere else, this is the place to come – the shop is a whole block long! They have various rooms including their own kids’ costume room, a wig room and a mask room, and a wide selection of adult costumes as well. For more information click here. Who knew Chicago was haunted? With a history riddled with battles, fires, gangster massacres and more, there are rumored hauntings all throughout the city. Chicago Ghost Tours takes you on a ghost hunt – even to one of Al Capone’s hangout spots! You’ll be sure to bring back stories from this tour. Call (773) 953-6332 to reserve your spot on a tour today!